Mother’s day is almost here and it’s time to kick the creative crafting into high gear. 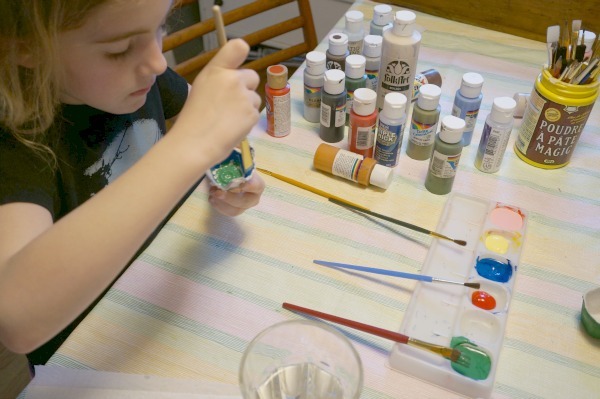 While I can’t really get my kids to craft stuff for me…although I’d love to…the girls do have lovely grandmothers that we celebrate Mother’s Day with. This year I thought it might be nice to revive and reinvent an old idea, our egg carton flowers. The last time we made these flowers we used them to create a decoration for our front door. This time around, we turned them into a beautiful Mother’s Day bouquet. 1. 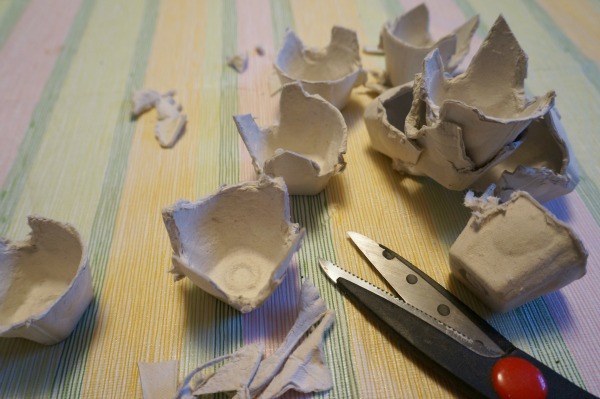 Cut the egg carton into individual sections…you can shape the sections as you like. 2. 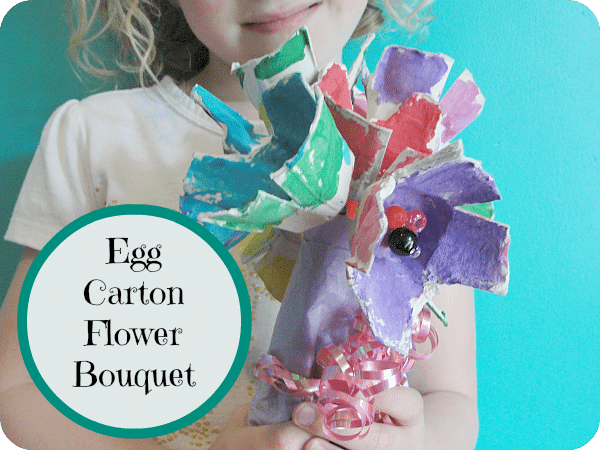 Paint the inside and outside of the egg carton sections…the flower heads. 3. Poke a hole in the bottom of each flower head and feed the pipe cleaner through the hole…secure the pipe cleaner in place by bending its end. 4. 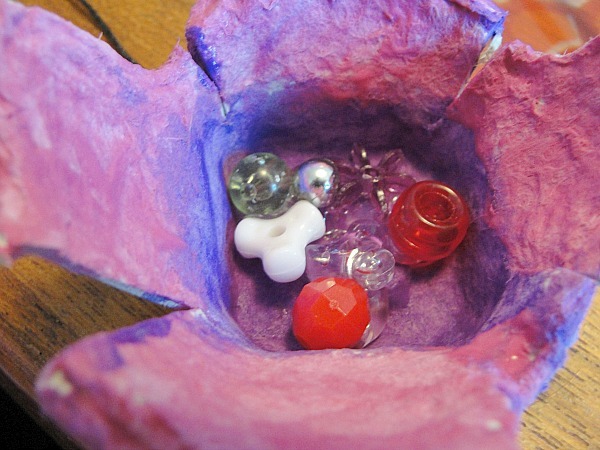 Use the hot glue gun to affix the beads to the inside of each flower. 5. Create the bouquet by gathering together the stems, wrap with tissue paper and secure with a tied ribbon or pipe cleaner. These bouquets are stunning. My daughter loved the process of completely transforming something as simple as an egg carton. Making these flowers can become slightly addictive. Pretty soon you’ll have an entire garden! Now, I know that I would be super happy to receive one of these bouquets this Mother’s Day. I’m sure the girls grandmas will love them. Wouldn’t you? If you are looking for more Mother’s Day inspiration, be sure to check out my Father’s Day & Mother’s Day Pinterest board…filled with so many super crafty ideas I’ve collected from around the web! I love the beads in the centers! What great fun! What a creative gift idea. Love the colors. 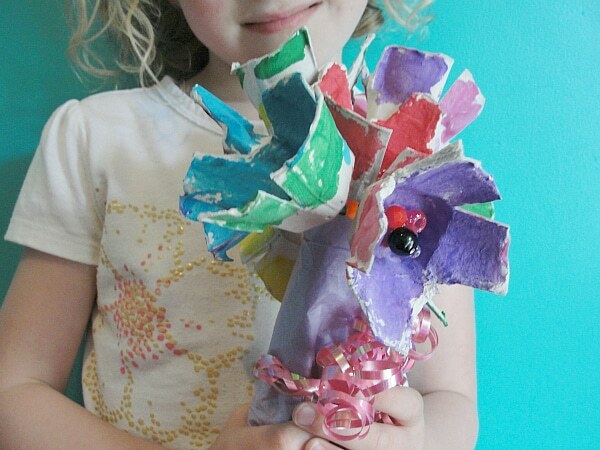 Please come link up on our Artsy Play Wednesday kids’ craft linky. All posts are pinned as well. This is such a fabulous craft for kids to make. I’m going to have to save more egg cartons. Thank you for linking up to Tuesday Tots and letting you know that I will be featuring this over on Rainy Day Mum this week. Thanks so much Cerys…you’re support is so very appreciated!